After a long drought, the Shining series is back in the West. 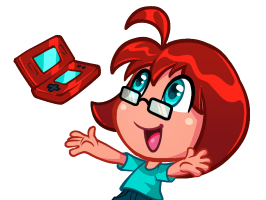 Most remember it from its early days on the Genesis, but Shining enjoyed a decent amount of success on the GBA and PS2 before disappearing from areas outside Japan for over a decade. 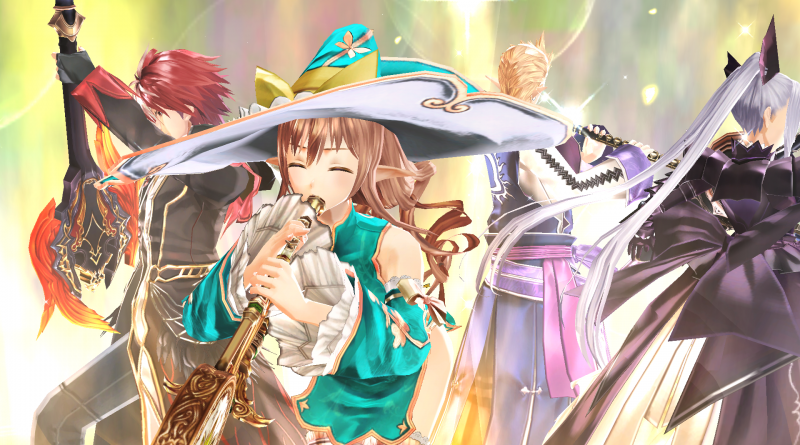 It’s great to see Shining Resonance Refrain‘s worldwide release, but, well, is it fun to play? Since it’s been so long, Western players may most associate the franchise with its popular Shining Force branch of strategy-RPGs, but it has long been one of diverse subgenres. In its absence, it has built an identity around a unified aesthetic: characters designed by artist Tony Taka and saturated pastel worlds. 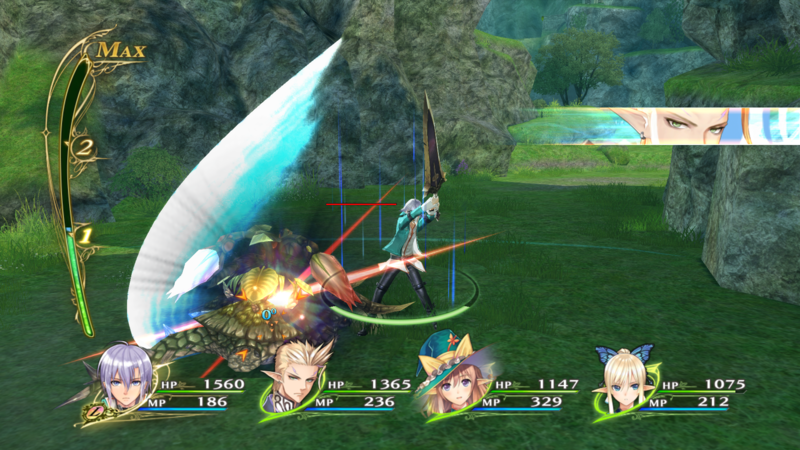 Shining Resonance (and, by extension, this Refrain remaster) is an action-RPG in the Tales mold, with real-time battles in small arenas with special attacks and combos. Playing a game like this reminds you that, despite the many flaws of the modern Tales franchise, there’s a lot of polish and refinement that’s come from developing games like this for the past two decades. Developer Media.Vision has proven over the years that it can deliver quality, too, but it’s sporadic: it’s made great games like Digimon Story: Cyber Sleuth and Valkyria Chronicles 3, but it also developed Summon Night 6 and Valkyria Revolution. It feels more like the latter during its combat sequences, with plenty of options to try but few that work particularly well and none that offer a feeling of satisfaction when you pull them off. When you hit something, it should feel like you’ve hit something, and Resonance just doesn’t. The game drops the ball on a lot of these sorts of things, sacrificing game feel for what was presumably a larger scope of content. And when you’re done with battle, it just… ends? It’s like someone hits play on the results screen once the game detects a certain variable, which is probably literally exactly what it does, but most other games do a better job of making a more satisfying ending to combat with audiovisual cues and fights that build to a conclusion. The game looks nice, aesthetically, but whether the technical aspects match is going to depend on which version you buy and how you play. There’s certainly a musical motif to Shining Resonance. The protagonist (a boy that is also a dragon because of course he is) is surrounded by musical fighters, and they all build up to the game’s “B.A.N.D.” system for songs that provide special effects once you’ve collected enough “Battle Performance Mana” (BPM) to perform them. It’s also built around that dragon-kid, of course. You can turn into a dragon temporarily to overpower strong opponents, and we wish this felt as good as it seems it should. 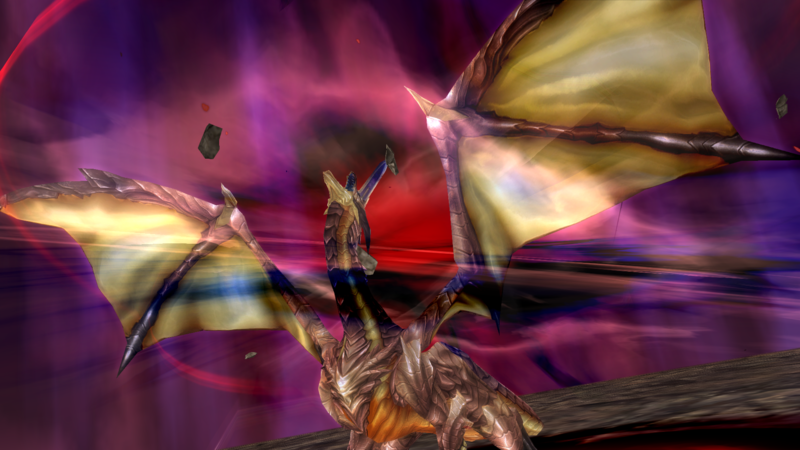 As it is, the dragon moves in a very clunky way and doesn’t really feel like it lands particularly strong attacks. The game looks nice, aesthetically, but whether the technical aspects match is going to depend on which version you buy and how you play. On the beefier consoles and PC, you’ll feel the “remaster” part of the game, with upscaled elements and visual effects that make it something more than the PS3 original. On Switch (which we’ve been playing), this is essentially a straight port. It doesn’t really take advantage of a larger screen, so it looks better on the 720p-native handheld display than it does as a low-resolution docked title. If you’re not looking to take it with you, Switch isn’t the way to go. 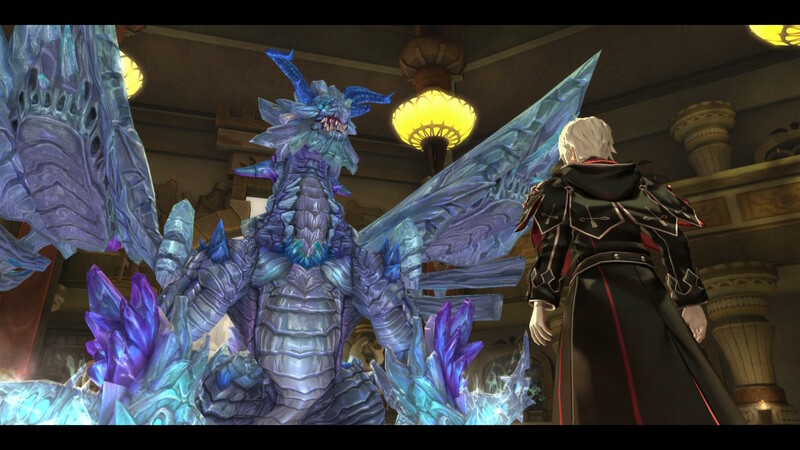 The overarching story in Shining Resonance isn’t exactly the most compelling one; it’s a fairly standard tale of dragons and saving the world with a heaping helping of jargon that tends to come with the modern subgenre for some unknown reason. The characters’ interaction is clearly the focus here, and there are some people you’ll meet along the way that are earnest or quirky in delightful ways. Whether you prefer the (actually okay) English dub or the original Japanese audio, the game has you covered, but either way, the localization does a long way toward smoothing over what was otherwise an uneven script. 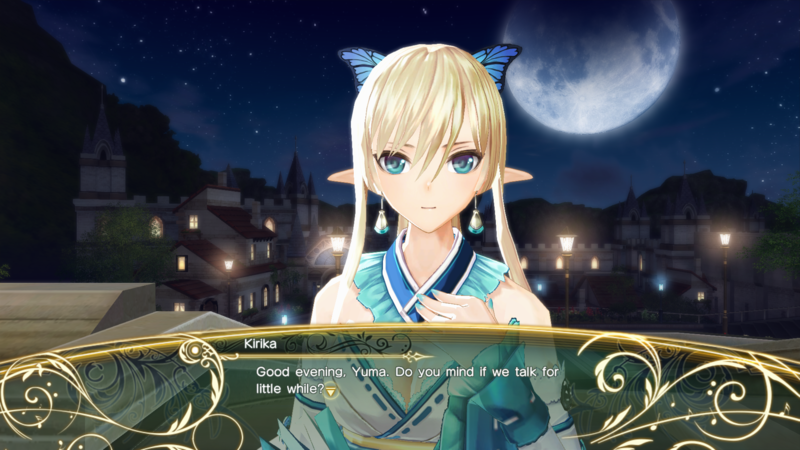 On all platforms, the visuals are built around Tony Taka’s characters and all the opportunities you have to ogle and date them, so your enjoyment of the game really hinges on how much you’d like to spend your time doing that. Refrain includes all the original release’s DLC, which is technically a lot of stuff, but it’s way less gameplay and way more “a bunch of swimsuit costume variants.” The maid costumes do, inexplicably, open up more battle strategies, with the game’s support system providing different sorts of bonuses depending on players’ relationships and the maid attire unlocking one that has them go out of their way to heal and support the protagonist specifically. On all platforms, the visuals are built around Tony Taka’s characters and all the opportunities you have to ogle and date them, so your enjoyment of the game really hinges on how much you’d like to spend your time doing that. Regardless, the most important addition here is the “Refrain Mode,” which is essentially a New Game+ option that adds two playable characters and explores more of the story. This isn’t intended as your first experience, as it spoils a lot of the happenings in the game if you didn’t know about them already, but it’s unlocked from the start for players who completed the original game. Which is not us! But hey, maybe there are some fluent importers out there who appreciate the option. It’s wonderful that we live in a world that sees more games like this localized. More people getting to play more games in more places is only a good thing. Still, though, this doesn’t change Shining Resonance Refrain into a game with wider appeal. It’s a standard action-RPG with a few neat ideas in a package that prioritizes sheer amount of content over curation and feel. But hey, it could still be for you.